Even though it might be alarming to see “0x800a0007 Windows Update Error” on one’s computer, it is quite easy to repair. Computer users receive this error message for various reasons, especially when trying to update software. 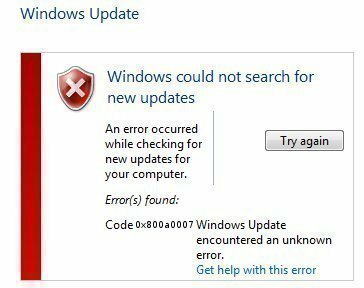 Some common reasons for receiving the 0x800a0007 Windows Update Error are incorrect settings in Secure Socket Layers (SSL), incorrect date and time settings, or proxy server use. 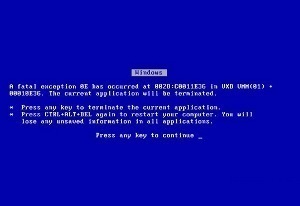 Incorrect computer settings appear to be the leading cause for a “0x800a0007 Windows Update Error.” Previously, if the computer’s language was set to a language other than English, for example Chinese or Russian, an “update error” message occured. However, Microsoft has addressed how to change the computer’s default language in the knowledge base article entitled, “Q250288: Windows Update Web Page Is Displayed in Wrong Language.” There is a simple way to work around this problem as outlined in “Q250288,” to change the machine’s default language to English. Afterward, try updating again. Move the cursor down to the Security section. From this area, either versions SSL 2.0 or 3.0 can be enabled. However, the problem is further complicated if using a proxy server. Enabling use HTTP 1.1 through proxy connections found under the Advanced tab’s HTTP 1.1 settings can repair this. Other than incorrect language, date, and time settings or disabled SSL, there is an ongoing debate on whether the cause for the “0x800a0007 Windows Update Error” might also be the Akamai servers. A computer will connect to the Akamai servers that Microsoft uses to increase bandwidth to download the required updates. It is suggested that the error might be due to the Akamai server sending ads, which the computer’s anti-spyware program blocks. A remedy for this situation is to temporarily disable any anti-spyware or anti-virus programs. However, keep in mind how vulnerable the computer becomes as a result, especially when it connects to the Internet to receive updates. Updating through a firewall might also cause an update error. Place a checkmark to use a proxy server for the LAN and click the Advanced button. Long Path Tool is nice software.i solve by it. 321 queries in 0.376 seconds.